David Sheen | Israel Genocide? Last night more than 5,000 Israelis gathered in Tel Aviv’s Rabin Square in a massive outpouring of support for Elor Azarya, the Israeli soldier and French citizen who was recently indicted on manslaughter charges for executing a wounded, immobile Palestinian man on March 24 in the occupied West Bank city of Hebron. … Among the sea of flags and signs, one read “My honor is loyalty” – the motto of the Nazi SS. 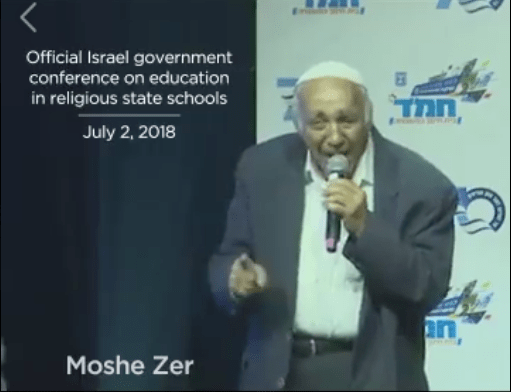 Last night was the latest example of the genocidal current running through Israeli society, one that has support from the grassroots to the parliament. Also in attendance were members of El Yahud, a loose network of Jewish supremacist thugs who organize mob violence against Palestinians and anyone they deem “leftists” that sprouted during the last assault on Gaza – a group journalist David Sheen compared to the Ku Klux Klan. Anti-Palestinian incitement has always existed in Israeli politics, but in 2014 this racist discourse took a sharp turn for the worse. When three Israeli teenagers were kidnapped and murdered by Palestinian militants in June, Israeli political leaders did not call for the criminals to be caught and convicted. Rather, they demanded that mutilation and mass murder be visited on the general Palestinian population.